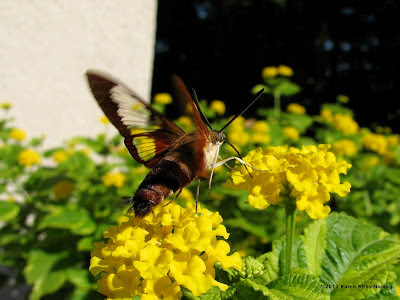 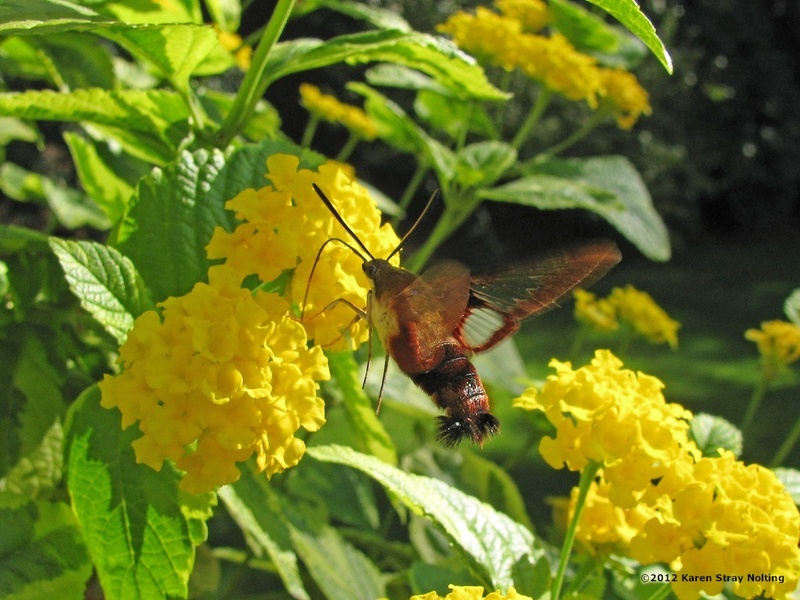 When I first saw a Hummingbird Clearwing moth here in Princeton Landing almost three years ago, I thought it might be a hummingbird. 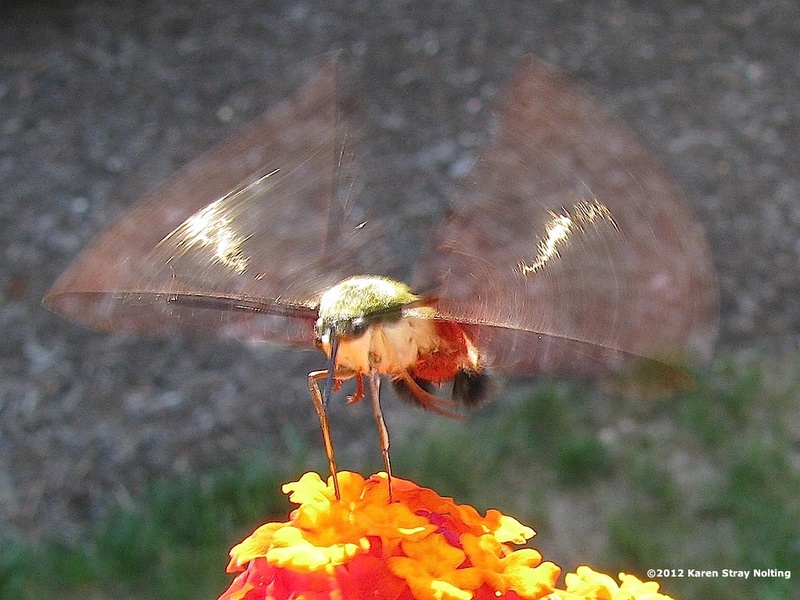 That's because these moths hover and feed much like hummingbirds. 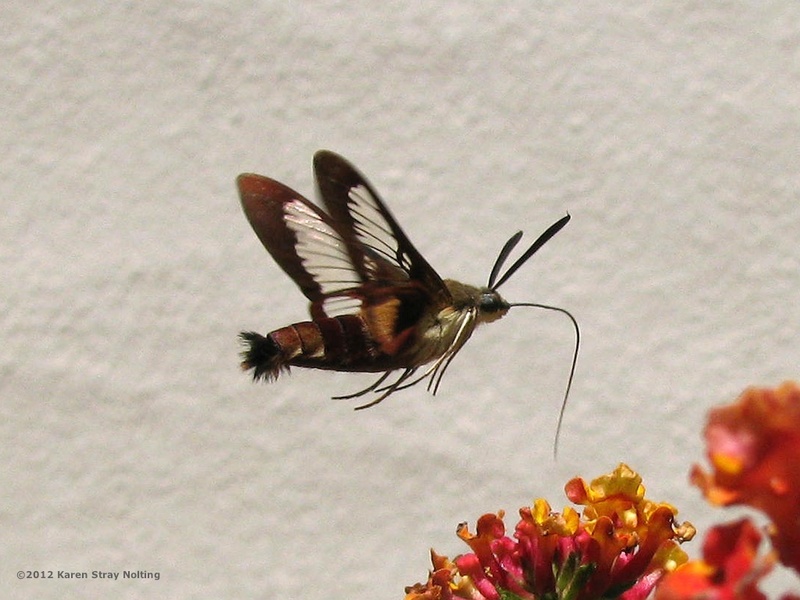 Clearwings get their name from the transparent inner portion of their wings. This Hummingbird Clearwing has been visiting our garden every day for the past couple of weeks. Our Nature Guide Jon thinks it looks like a flying shrimp. 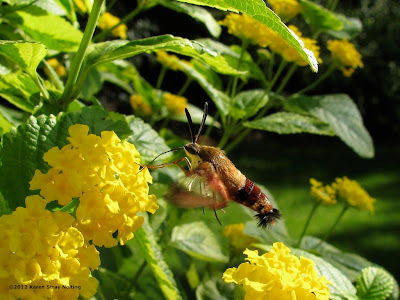 Interesting observation, but not very scientific. Click on the photos to enlarge and see what you think.